Above it all, overlooking Paradise. 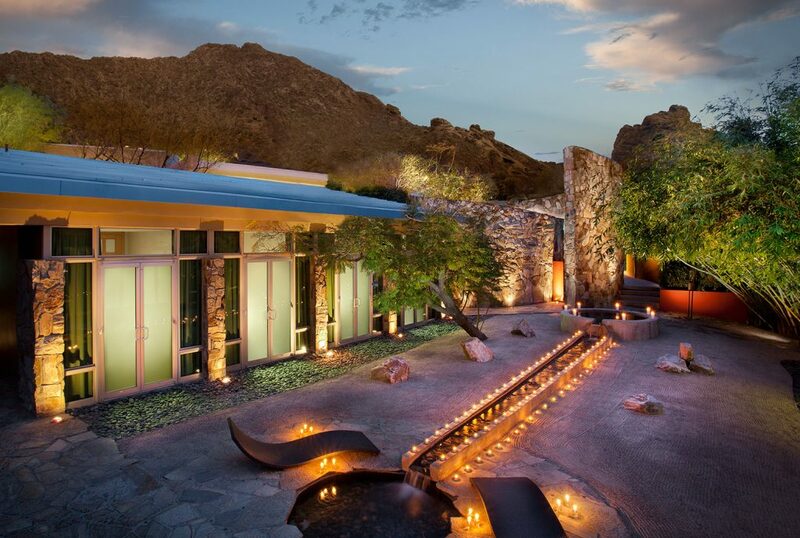 Sanctuary on Camelback Mountain Resort and Spa is Westroc’s first venture. We transformed the one-time celebrity tennis ranch into a unique luxury boutique resort that mixes Asian and local influences and culture. 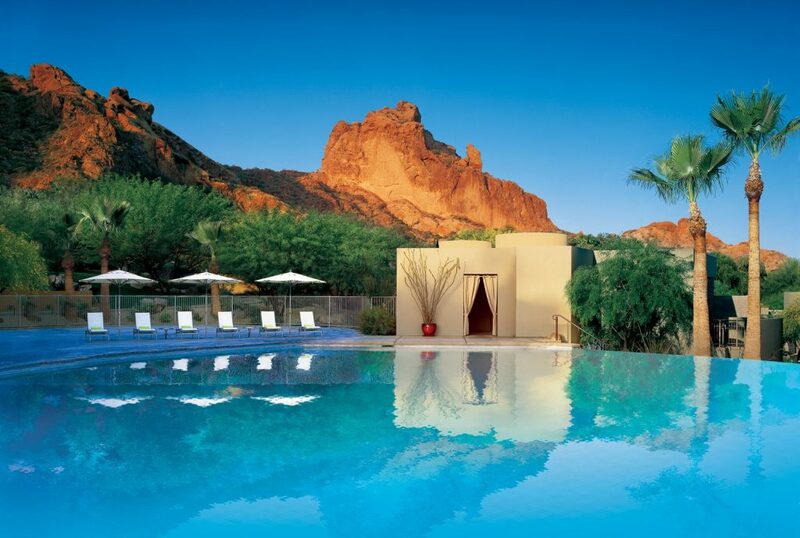 Tucked in the red-rock desertscape of Arizona where celebrities have long gone to hide away in style and soak up the invigorating sunshine, Sanctuary has redefined the spirit of luxury. From beautifully designed casitas to a recently renovated spa, this stunning property offers one of the most distinctive resort experiences in the country. Whether you are looking for a peaceful haven or an adventure-filled escape, Sanctuary has 53 acres where you will find your own paradise. Discover 109 lavish mountainside casitas and suites boasting features like modern chic décor, custom craft wood furnishings, wood-burning fireplaces, oversized soaking tubs and spacious patios. Seven private vacation homes, each offering spacious accommodations and personalized amenities provide an unforgettable retreat for couples, families and businesses. Luxurious amenities unique to the private homes include a movie theater, spa treatment room, movement studio, private pools and secluded patios overlooking the valley below, all within walking distance from the resort. Memorable meetings are a fixture at Sanctuary Resort, with pristine, flexible event venues and unparalleled personalized service that will elevate your next meeting or event. Guests will embark on an Asian-inspired journey of rejuvenation at Sanctuary Resort Spa. One of the top destination spas in the country, the newly renovated Sanctuary Spa cultivates balance and pure relaxation with distinctive architecture, lavish spa amenities, and an extensive menu of services. The spa experience extends throughout twelve indoor/outdoor treatment rooms, tranquil meditation garden, soothing reflecting pond and new women’s Quiet Room. Nurture your body within the state-of-the-art fitness center or for a more customized experience, take advantage of a personalized program. Tap into the energy of the desert with a guided hike or bike excursion – or hit the championship tennis courts with your favorite doubles partner. There is also convenient access to daily Movement Studio classes, a lap pool, steam rooms and hot tubs. Sanctuary features sensational dining options that delight every palate, and venues as sensational as the fare. Savor farm-fresh American cuisine with Asian-accents at the award-winning elements restaurant, led by renowned Food Network star Chef Beau MacMillan, indulge in a fresh and innovative mixology experience at jade bar, or discover the serenity of dining under the stars overlooking Paradise Valley on elements dining deck.